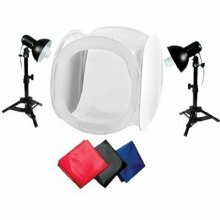 With this set you can create beautiful product photos for using them in a webshop. 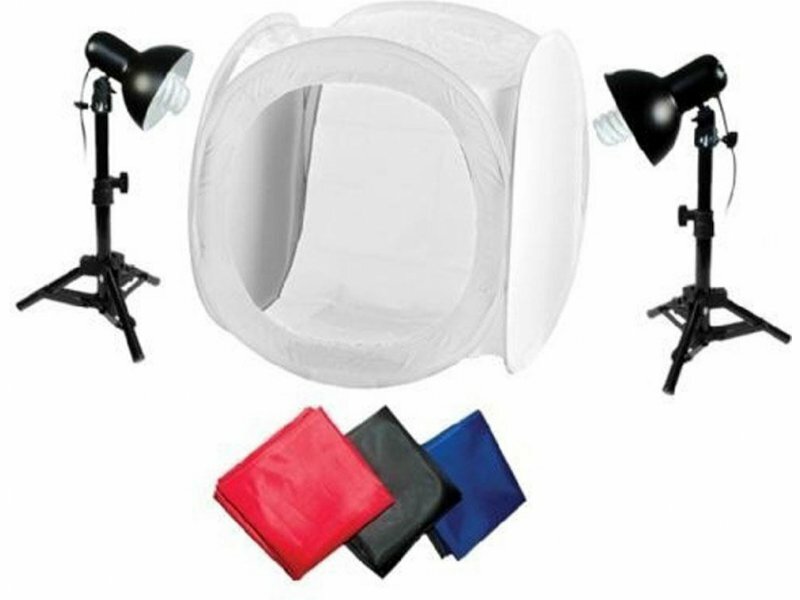 The white cloth distributes the ligh evenly and this reduces shade. This causes no reflections in objects that usually cause reflections such as glass. The 40W daylight lamps don't become hot and have a high light yield (40W energy efficient bulbs = 200W normal light). Background cloths in four colors are included. With these variety you have always the right background cloth for every situation.